19 Karen Contemporary Artspace is offering Art Money, interest free loans to buy art. Owning art is immediate and affordable. Interest free loans are available for artworks priced from $675 to $50,000. 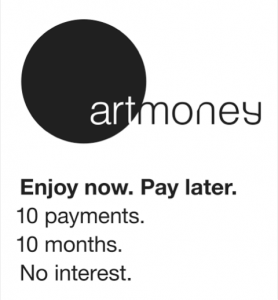 For more information about applying for an Art Money loan, contact us on 07 55545019 or visit www.artmoney.com.au.